Search Analytics in Raven provides authorized, accurate data on how people are accessing your website through searches on Google. Not only does Search Analytics provide up-to-date information on how your website fares in keyword searches, it also evaluates the positions, impressions and clicks for all of your index pages and provides valuable information about searchers based on country and device. 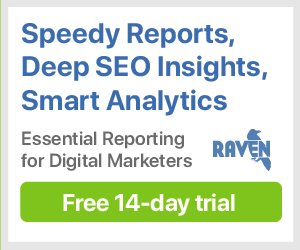 You can connect your Search Console account to Raven for easy access to Search Analytics data, as well as report on this data using WYSIWYG Reports. Search Analytics shows you exactly what you'd see in Search Console, without needing to fumble around with different Google logins. That includes data on ranking keywords, ranking pages and demographic information on countries and devices. Authenticate Raven with Google Search Console to access keyword data from your account. Google Search Console provides Average Rank — a calculation based on how actual Google users find your websites in Google searches. In addition to a ranking, we provide data on how many people have seen your website in a keyword search (impressions) and how many of those people clicked through. Not provided? Not anymore! Ever wanted to know how many Australians are discovering your website in their searches on Google? Search Analytics will tell you exactly how many times your website appeared in their searches, along with information on clicks, position and CTR. Just click the Countries section in Search Analytics. Simple! Not interested in just web results? Looking for data on video or image results as well? Search Analytics has you covered. Just click the quick Web, Image or Video filters to instantly filter the data to the format that is most applicable to you and your clients. What data is provided in the Search Analytics tool? How do I connect my Search Analytics account? How do the Web, Image and Video filters work in Search Analytics?